Water Intake and Anxiety: Is There a Connection? While it's common knowledge that consuming water is necessary for bodies to function well, it is less known that water intake can also have an impact on one's mental state. Both depression and anxiety can be improved through increased water intake, so when managing your child's mental health, having them drink more water is a straightforward and simple way to do so. The combination of taking Brillia (which includes following the other four out of five pillars: adequate sleep, proper nutrition, mindfulness, and controlled screen time) along with drinking more water gives you the ability to improve your child's anxiety naturally, rather than with harsh medications. It's recommended that children drink six to eight glass of water a day. Knowing how much water kids should drink in a day isn't the end of the road, however; the fact that adequate water intake can improve your child's anxiety doesn't mean that they are guaranteed to drink it! Water is the plainest of beverages, and it's common for kids to not enjoy the taste. 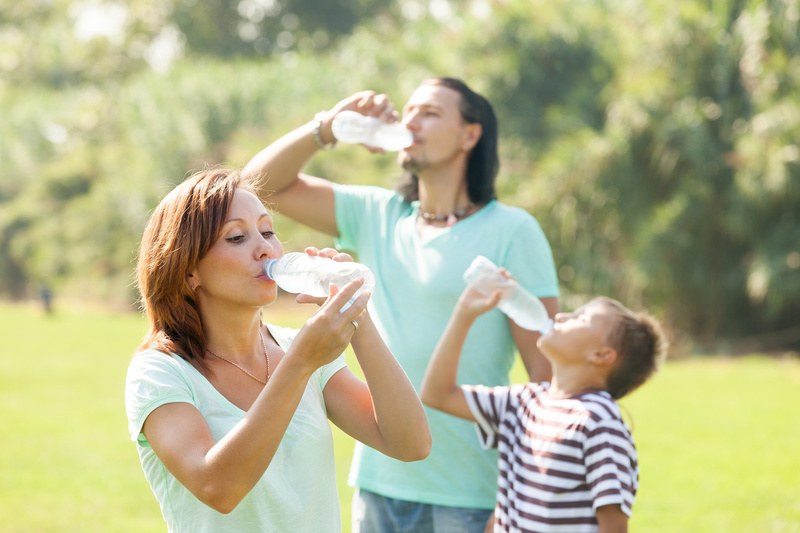 Below are some ways you can get your children to drink more water. The average commercial popsicles are essentially sweetened, flavored water that's been frozen. Turn this summer treat into a healthful snack that can be enjoyed year-round by diluting fruit juice with water by half. There will still be plenty of flavor, and your child won't even notice that they are drinking more water. While popular adult water additives like herbs and flowers might not be the go-to flavor choices for kids, fruit definitely is. By adding fresh or frozen fruit to water, you infuse the water with a lot of flavor, but very little (if any) sugar. The combos are never-ending, between berries, citrus, stone fruits, melons and more. You can buy a large infuser for pouring it cup by cup, or an individual infusion bottle. Speaking of melons, foods that are high in water content are also helpful for hydration. Offer snacks that have high water content, such as cucumber, honeydew and celery. Avoid watermelon for this purpose, however, because, surprisingly, it's a diuretic. Make water a more exciting option by using tools that jazz it up. Examples of these are fun and festive cups, and interesting-shaped ice. Give your child agency by allowing them to choose which special cup to pair with which special ice. This is also a practice of mindfulness, an important pillar of well-being. “Monkey see, monkey do” is an adage for a reason: it works. If you want your child to reap the benefits of drinking more water, the simplest way to get them to do that is to drink more water yourself. You can make it a conversation topic, where you point out each time you reach for a glass, or be more subtle and trust that by seeing you drink more, your child will naturally be inclined to, as well.